Among the greatest benefits of modern life is to live in a world made safer by advanced technology. Almost every day, we hear of new uses for electronic sensors and monitors to prevent and mitigate traffic accidents, workplace mishaps, and damage and injury from household hazards. Insurers have certainly taken notice. To an extent, there is a corresponding burden to these benefits; it falls largely on commercial umbrella and excess liability insurers. Welcome to the age of the $20 million commercial auto liability claim, among other indications of growing severity in commercial liability. The $20 million figure, once unheard of, now falls near the middle of the spectrum of claims that an umbrella/excess carrier might see and that would not be all that uncommon. You can credit modern medicine and vehicle technology for this new reality. People who would have been killed in an auto or occupational accident a generation ago now can survive and continue active, productive lives—thanks to expensive medical treatment and support over the lifetime of an injured person. Thus, although primary carriers may see fewer claims relative to their account base, the potential has grown for one to blow through the primary layer and attach the umbrella. As a result, and with ample risk-bearing capacity seeking umbrella/excess accounts, U.S. insureds are requesting—and insurers are providing—increasingly higher limits on umbrella/excess liability policies. 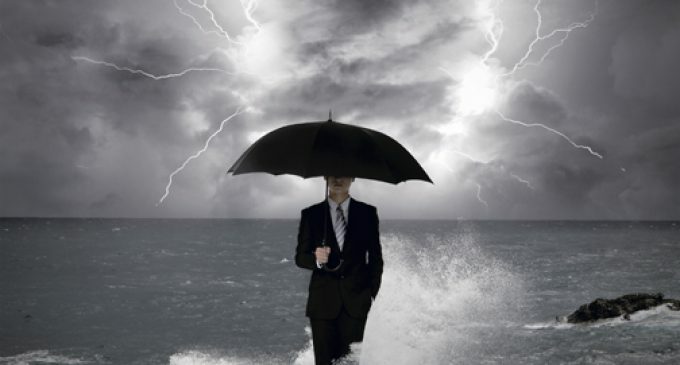 “There is a definite trend in [U.S.] major metro areas of carriers providing, and brokers placing, higher limit umbrellas,” says Greg Somers, an assistant vice president and Southeast regional sales executive for Distinguished. It is nearly impossible for commercial umbrella/excess carriers to avoid international exposure in this age of networked information, complex supply chains, and cross-border operations conducted online. Global interconnectedness has grown to the point where it is not uncommon for liability insurers to cover multiple defendants for the same claim, often with those defendants seeking to shift liability to each other. In such cases, Allianz advises insurers to be prepared to support the legal strategies of two contending parties and erect internal “Chinese walls” between the claims and legal staff that support each claimant. According to Allianz’s analysis of more than 100,000 claims from throughout the world in 2011-2016, there is a huge disparity between the frequency and severity of different liability losses. For example, only about 1% of the claims were attributable to what the report calls “human error” (other than errors leading to collisions and crashes), but those claims accounted for 19% of paid losses. In contrast, “slips, falls, and falling objects” accounted for nearly half of all claims, but only 6% of losses. The two leading sources of liability losses were “defective products and work” (23%) and “collisions and crashes” (22%). Regarding products liability, Europe and the U.S. have seen significant increases over the past two years, in some cases to record levels, in product recalls in the automotive, food, and pharmaceutical sectors. A large portion of product recalls and safety alerts involved products or components from China. The potential for a claim against one contributor to a product or initiative to trigger a series of claims and lead to a crisis of near-systemic proportions. With intense competition and falling rates, the best way for agents and brokers to compete effectively may be by mastering how umbrella/excess policy forms address the needs of insureds and the risk tolerance of carriers as each confronts a growing range of dynamic risks. “Differentiation in program choices will be more about coverage than price, as unknowns increase and carrier positions begin to diverge,” reads the Marsh “Top 10” report. An “umbrella” approach that provides excess coverage according to its own provisions or those in the underlying layer, plus drop-down coverage (under its own terms) over a self-insured retention for losses not covered in the underlying layer. Applications of these different approaches must be continually reconsidered, as new liability exposures emerge and older ones become subordinate concerns. For example, many organizations today have more value in their digital property than in physical assets, and coverage for cyber liability has become a pressing concern. As an indication of the potential for severe cyber liability loss, the Marsh report notes the October 2016 denial of service attack that prevented access to leading web services used by cameras, routers, and printers that were connected to the Internet but not protected from hackers. “The level of interconnectedness amplifies the potential frequency and severity of adverse events, as the impact of an individual loss can ripple through an entire connected system,” the report reads. To date, no authoritative determination has been made as to whether legal liability for bodily injury and property damage arising from cyber causes is to be insured under a cyber liability or a commercial general liability policy. The wording and structure of an account’s umbrella/excess liability coverage will determine if and how excess policies will respond to such a claim and whether a producer may be liable for an error or omission. Also, commercial umbrella/excessliability policies typically have provided coverage for legal liability arising from activities anywhere in the world, so long as the claim was brought in the U.S. or Canada. This contrasts with the approach under standard commercial general liability policies, which typically restrict coverage to claims arising in the U.S., its territories and possessions, and Canada. As corporations expand their overseas operations, umbrella/excess insurers can find themselves picking up more first dollar coverage (over a retention) for operational risks commonly underwritten and insured under a CGL policy. Finally, commercial umbrella/excess policies differ in their approaches to defense cost coverage. Although it has been traditional for excess policies to pay defense costs within the umbrella/excess limit (in contrast to commercial general liability policies, which typically cover defense outside of policy limits), more excess carriers today are willing to contemplate defense outside limits. This consideration is paired with the umbrella/excess carrier’s willingness to fund defense costs on a pay-as-you-go basis or to pay only on a reimbursement basis. The former is a critical consideration for small and mid-sized accounts that may not have the means to sustain a defense and continue operating. The agent and broker who can most knowledgeably assist risk managers and underwriters in apportioning risk among policies and collecting adequate premium will have a competitive edge in a soft, price-driven market. Joseph S. Harrington, CPCU, is an independent business writer specializing in property and casualty insurance coverages and operations. For 21 years, Joe was the communications director for the American Association of Insurance Services (AAIS), a P-C advisory organization. Prior to that, Joe worked in journalism and as a reporter and editor in financial services. ONLINE SELLING: DO YOUR CLIENTS KNOW THE RISKS?